Ellen Springall is a San Diego native and graduated with honors from Northwest Christian College with a degree in Speech Communications and a minor in Psychology. After returning to her hometown, she worked in the Hospitality Industry until she returned to school in 1998 to become an Esthetician. In June of 1999, Ellen earned her license as an Esthetician. She started her Esthetic career working in full service salons as an independent contractor. 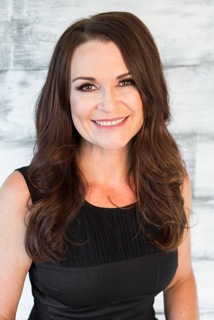 From 1999 to 2003 Ellen focused on providing professional facial treatments and waxing services while building her clientele. After four years in the industry, Ellen decided to branch out on her own in 2003 and opened The Wax Shack and Skin Care Studio. Her studio has blossomed and grown since then, as has her passion for skin care and waxing. She continues to attend classes and hands-on training courses to perfect her skills and her knowledge in the skin care field. This is important to her as the skin care industry is a constantly changing field that requires continual education on developments, new products and modalities as they become available. In 2013, Ellen added Custom Spray Tanning into her business and is thrilled with how it has been received by her clientele! At The Wax Shack and Skin Care Studio, Ellen provides skin consultations to assess the client’s needs and carries a full line of specialty products for home use to establish an at home regime to further the results of her professional treatments. Ellen takes great pride in her work and will always be an advocate for total skin care, waxing and spray tanning for all ages. 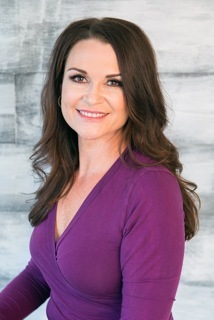 Ellen currently serves on the Board of Directors of the Le Tip San Diego North Chapter and is a Court Appointed Special Advocate (CASA) for children in the foster care system. Previously, Ellen has volunteered with The American Cancer Society’s Look Good Feel Better Program.